Return each creature card with converted mana cost X or less from your graveyard to the battlefield. Exile those creatures at the beginning of your next upkeep. 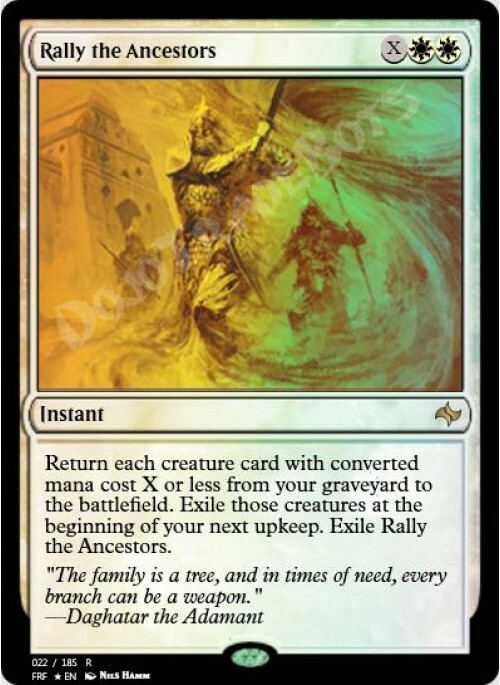 Exile Rally the Ancestors.